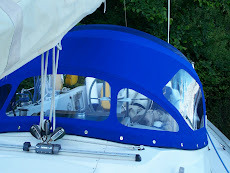 Always difficult to get good pictures of a bimini, they look so insignificant. 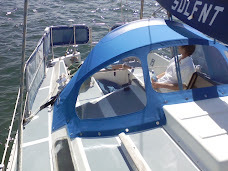 The reality though is very different. 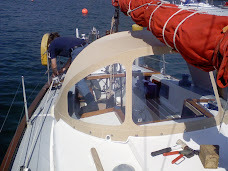 The design and fitting of the stainless steel bars (three on this one), takes hours of work. 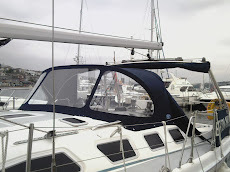 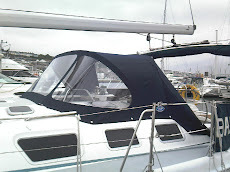 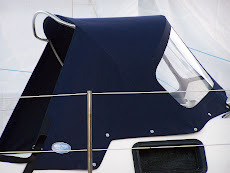 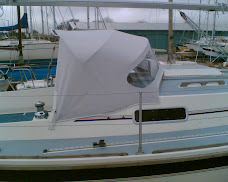 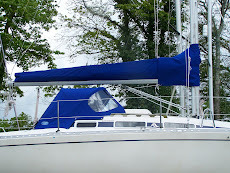 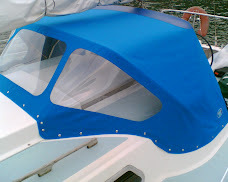 The design part of the work involves getting the shapes right, the right height to suit the customers needs, and also to end up with bars that fit neatly together when the bimini is folded into its storage sock. 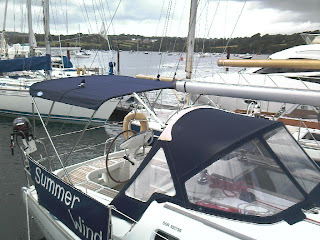 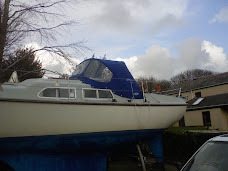 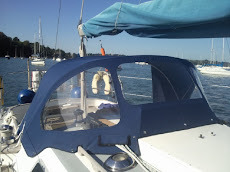 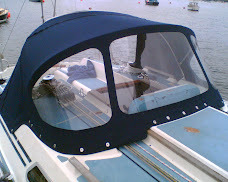 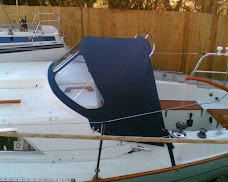 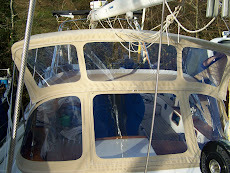 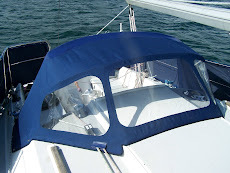 The bimini also needs to work around the backstays, on this occasion with zips up to the stays, and splits on the forward bar so that when stored all the bars can be taken behind the backstays.